Weed Wrangle is a national event supported by the Garden Club of America focused on caring for our public lands by removing invasive plants. 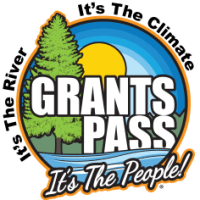 Weed Wrangle - Grants Pass will continue our work from the past 2 years, targeting the removal of Scotch broom at Griffin Park and along the trail on the neighboring BLM land. Meet at the Griffin Park Shelter at 12:30 pm to register and join the fun! County Park Day-Use Fee will be waived for participants. Tools will be provided. Bring gloves and wear long sleeves, pants, and work boots. Snacks and drinks will be provided.